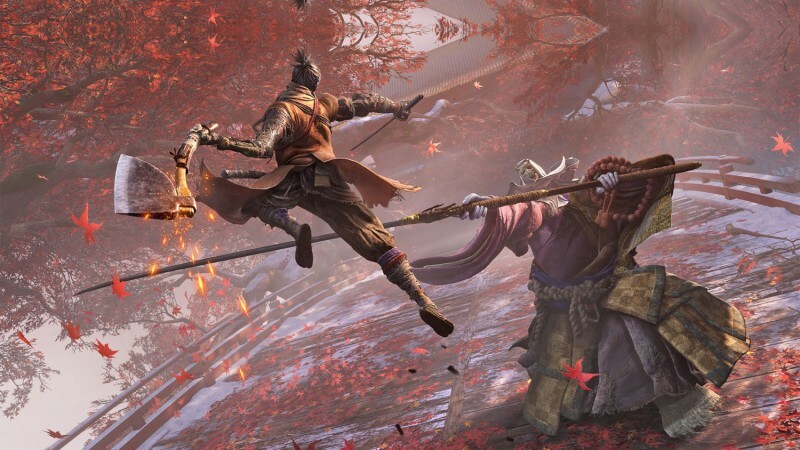 If you're one of the many still working your way through Sekiro, From Software's recently-released ninja action game, there might be some respite coming for you soon. An update scheduled to go live tonight will make a few changes in the game and attempt to make it easier for players to diversify the way they fight enemies by using more shinobi tools. To begin with, the Blazing Bull has been toned down in the new update. The midboss, who appears shortly after the game's first real boss, ended up being a real wall for a lot of players. Up to that point, most enemies you fight are some manner of pragmatic human that acts with some rationality, while the Bull kind of stomps your face in with reckless abandon. The bull's posture and vitality have been "slightly" reduced, so it's not a walk in the park now, but it's a bit more manageable. The bulk of the other changes are centered around the shinobi prosthetic. Seemingly From has gotten feedback of players not using ninja tools because they're afraid they'll run out of spirit emblems, so a number of tools have been made more efficient. You'll be spending fewer spirit emblems to use them, because From Software really wants you to use them. You'll also find more divine confetti as drops from vanquished foes and information from Anayama the Peddler will decrease in cost post-patch. Sekiro is currently available on PlayStation 4, Xbox One, and PC. A few weeks ago, dataminers discovered a reference to Thanos in the game's update files, strongly suggesting a return of the Thanos mode in Fortnite Battle Royale that had appeared a year prior. That mode was made fairly quickly due to an unlikely mutual fandom between Epic Games and the Avengers: Infinity War directors, the Russo brothers, but it looks like an extra year has given Epic time to do the collaboration justice. A new tease on the Fortnite Twitter account isn't being subtle about the fact that Avengers content is coming to Fortnite and likely soon. 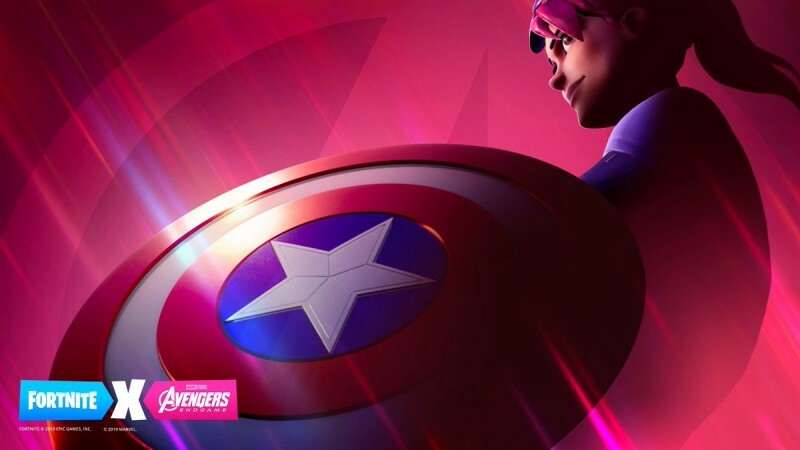 The tweet simply reads "Whatever it takes," followed by the date for Avengers: Endgame's theatrical release, and the hashtag "#FortniteXAvengers" at the end. While definitely expository, the tweet doesn't give us a whole lot of information, as is typical of Epic's Fortnite teases. The shield in the picture is obviously Captain America's, so there will probably be Avengers-themed items in the mix this time around. Will you be able to don the Iron Man suit? Can you swing around buildings like Spider-Man? Will you have to gather infinity stones? There's a lot of different possibilities. Fortnite is available now on PlayStation 4, Xbox One, Switch, PC, and mobile devices. Avengers: Endgame releases on April 25 in theaters. As an elementary school student, I loved computer class for the video games our teachers worked into the curriculum. One game taught me typing skills. While we played, our teacher covered up our keyboards with orange, plastic slips that shrouded the keys, but when she wasn’t looking, I would lift the slip to peek underneath, giving me an edge over the other students on the leaderboard. Playing these games, and the competition that spawned from them, gripped me much more than sitting in a classroom, listening to a teacher drone about math and geography. Adventure Academy takes these types of learning games and presents them within the context of an MMO. You still practice your typing skills, read in-game books, expand your vocabulary, and solve basic math problems, but you experience all this within the context of an MMO developed by Age of Learning, the team behind ABCmouse. We spent some time with the game’s beta learning about Beowulf and Joan of Arc while exploring a charming 3D campus. Each wing features an exhibit for players to interact with. In the library, students can read about the printing press and learn about Joan of Arc. Character creators are part and parcel of many games today, but its inclusion in an educational game might feel novel to a third grader. After sculpting a Lara Croft-inspired character with brown pants and a long braid, the game dropped me into the titular academy. You’re encouraged to explore the campus, featuring wings for each major discipline: science, literature, history, and math. One thing kids will appreciate in Adventure Academy is that it allows them to focus on activities they enjoy. Don’t like math? You can read full-length books like Titanicat. Does history bore you? There’s a library of videos you can watch to learn science. You participate in these activities by interacting with kiosks in each wing of the academy, and they take the form of simple flash games. 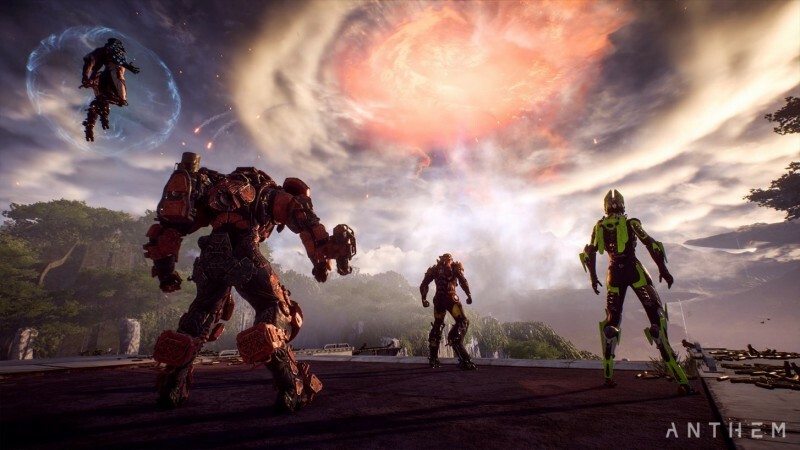 I tried a number of games myself – they’re mechanically simple, and they don’t look as flashy as the game’s 3D world, but each one plays differently, which is another great way the game caters to different players. Some will like the drag-and-drop matching games while others enjoy Jeopardy-style vocabulary activities. 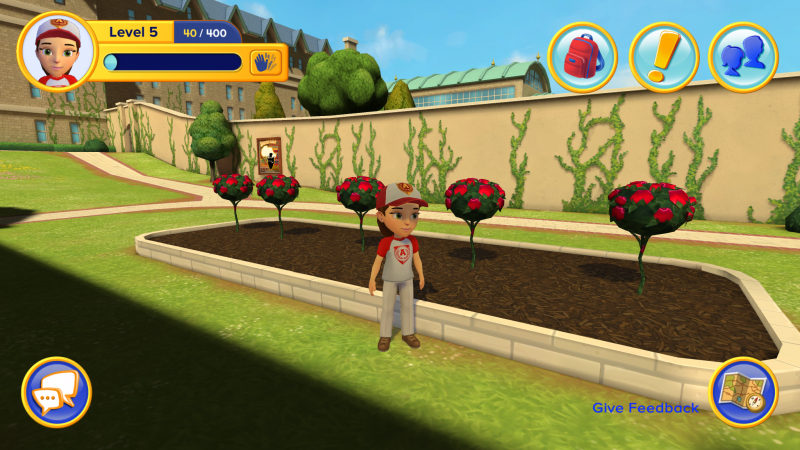 Most of the exploration-based quests we tried took the form of easy fetch quests, like this one that tasked us with planting trees in the garden. A teacher oversees each area, and they issue you a variety of quests to explore on campus. Some take the form of fetch quests, like finding the missing finger bone of the T-Rex on display in the history wing or planting trees in a hidden mulch bed. 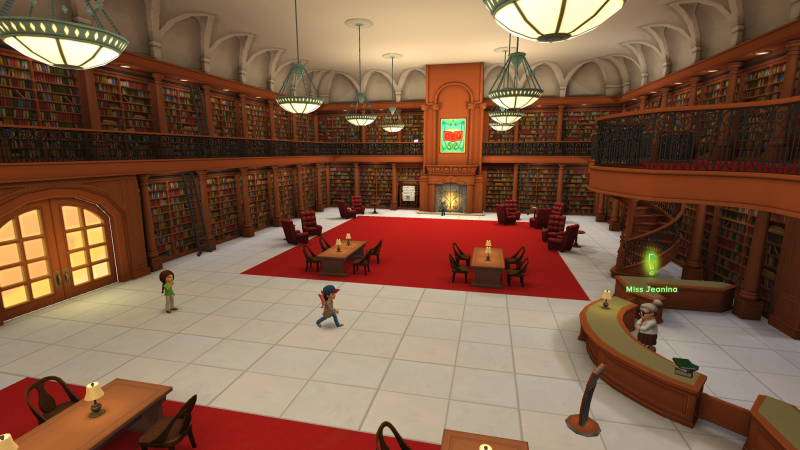 One interesting quest asks players to locate pages of lore detailing the academy’s history, which are scattered around the building. While these quests were the type of mission I don’t like to see in MMOs, I think their inclusion might excite kids the most. Other players mill about completing quests, and there’s an in-game chat feature that third-grade-Hunter would have loved to use in a classroom. My best friend Jimmy’s assigned seat is across the classroom? Ha! I’ll just message him on Adventure Academy! I expect the game to be some players’ first exposure to video game progression systems. You earn experience for completing each activity, and new quests open when you level up, as well as entirely new areas for kids to explore. 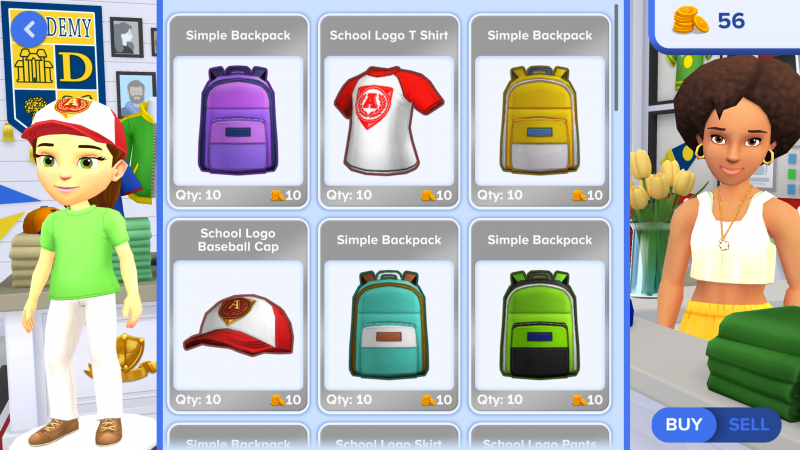 New wardrobe options, like butterfly wings, backpacks, academy-branded sweaters, and infinity scarves, unlock at higher levels, which are incentives for kids to complete the game’s more educational activities at the kiosks. I was thrilled to see I could unlock a sword for my Lara Croft-themed avatar, and I know with certainty that, in elementary school, I would have obsessed over earning new cosmetic items long after class time. Cosmetic items get more unique at higher levels. We saw top hats, cowboy hats, and every type of backpack in the marketplace. While the bevy of unlockable cosmetics will stir competition within classrooms, I’m surprised Adventure Academy doesn’t include leaderboards for its skill-based games. The ability to rise through the ranks of your peers is a feature that lends itself naturally to a game that’s otherwise pretty social. Another head-scratcher is the decision to make the game download while kids play; traveling to new wings or hub spaces for the first-time requires long load times. These moments weren’t unbearable, but I imagine they could be for a teacher with a class of twenty students who just want to play the game. I’m curious to see if players can download the game entirely at launch instead of having to confront these first-time loading screens. Gripes aside, I think Adventure Academy has the potential to be a great educational tool for classrooms or a fun kid-friendly MMO that parents could introduce to their children. There’s course material for every type of student – from the bookworm to the kid who just wants to earn a bunch of experience watching science videos. Adventure Academy launches on May 1 for PC and on Android and iOS devices. You can purchase a monthly subscription for $9.99 or an annual subscription that comes out to less than $5 per month when you pay up front. Many of our editors at Game Informer are parents themselves. Read Javy’s column on what it’s like to be a gaming parent in a gaming world, or Matt Miller’s column on great tabletop games to play with your kids. 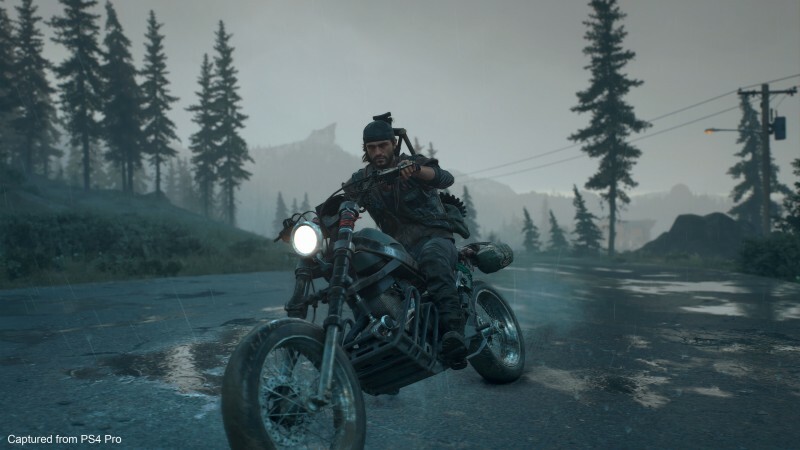 With Days Gone only days away from release, there are still a lot of questions about how the world functions. The open-world zombie game is meant to be freely traversed on a bike, but there's always danger around every corner, and behind every tree. The newest Days Gone video is meant to convey that world and how it was created straight from the developers. You get a good look at all the various things that will kill you, including the various types of Freakers out there, but also humans who worship the Freakers and try to act like them. The video also explains how something as simple as the current weather might make or break your entire escape strategy, so having contingency plans will be important for Deacon St. John. Bandai Namco announced ambiguous DLC and free update plans for One Piece: World Seeker late last month, but today it has provided some more concrete details for the first piece of paid DLC. The Void Mirror Prototype will make Zoro a playable character and you will be able to, "engage in intense battles using his Santoryu battle style as he works to uncover the secrets behind a mysterious robotics factory." 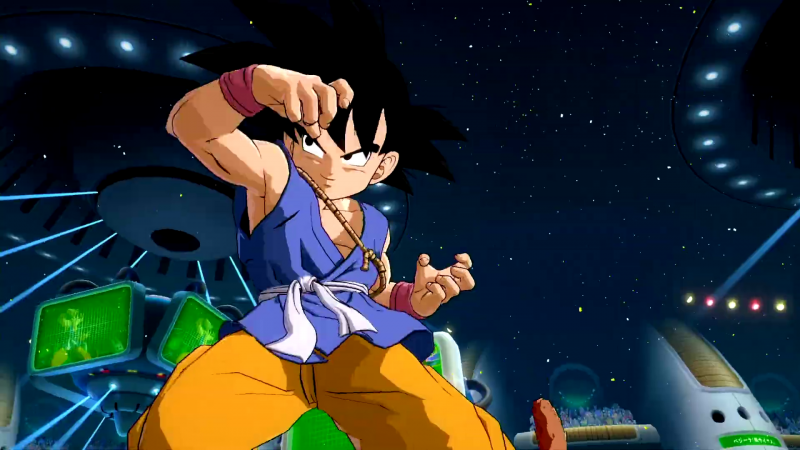 It will be available early summer and is part of the game's season pass, but can also be purchased standalone for $9.99. For our review of One Piece: World Seeker, head here.